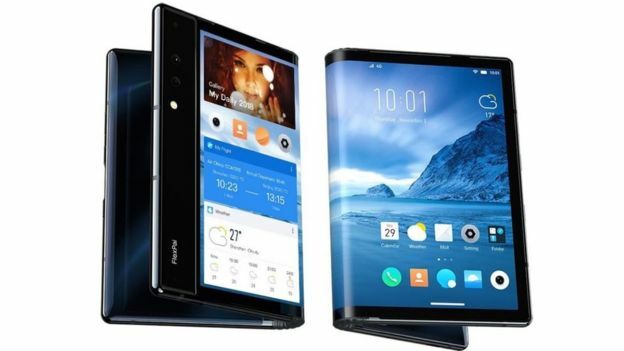 Royole Corporation, a California-based manufacturer of flexible displays, has unveiled the FlexiPai handset, the world's first foldable phone at an event in Beijing. 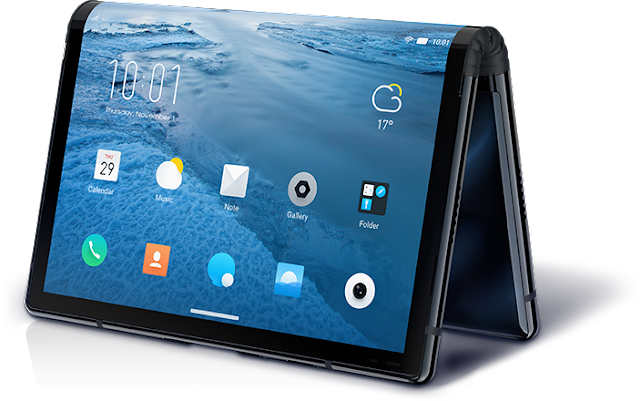 When folded, the phone presents three separate screens - on the front, rear and spine of the device. When the phone is unfolded, it provides a single display measuring 19.8cm (7.8in) display - bigger than many tablets. Using Royole's 2nd generation, ultrathin, fully flexible display, FlexPai can flex or bend from 0 to 180 degrees. The phone also includes two quality cameras and the flexible display can bend to capture objects at unique angles. When folded, FlexPai's edge screen has a resolution of 390 x 1440 and a ratio of 21:6. You can watch a video or work in app without interruption as all incoming calls, messages or emails are displayed on edge screen as they come in. The phone will be prices between $1,290 and $1,863 (£1,011 to £1,460) - depending on memory and storage specification and Royole is planning three 'flash sales' to consumers in China on 1 November to offer the first product run.